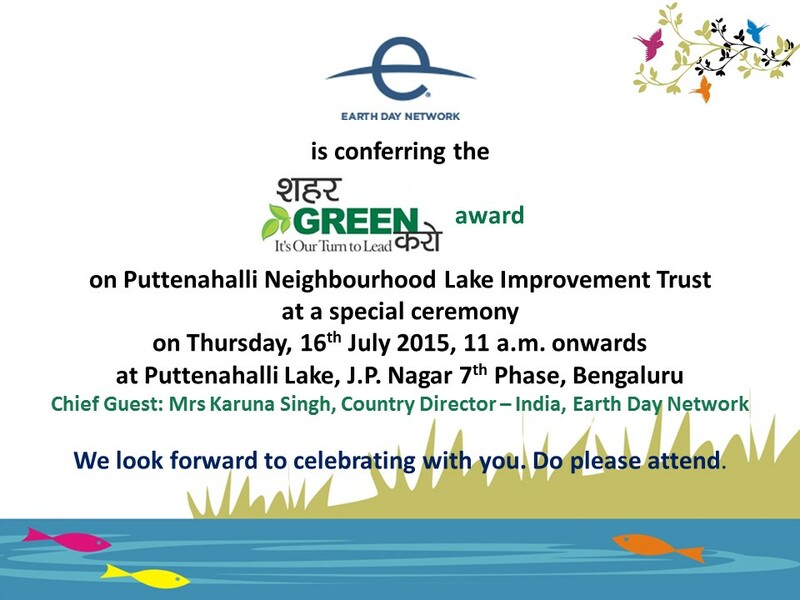 We are delighted to tell you that PNLIT will be receiving the शहर GREEN करो - It's Our Turn to Lead Award at a special function at the Puttenahalli Lake premises on 16th July 2015, 11:00 a.m. onwards. The Chief Guest is Mrs. Karuna Singh, Country Director of Earth Day Network India, the organizers of the contest. 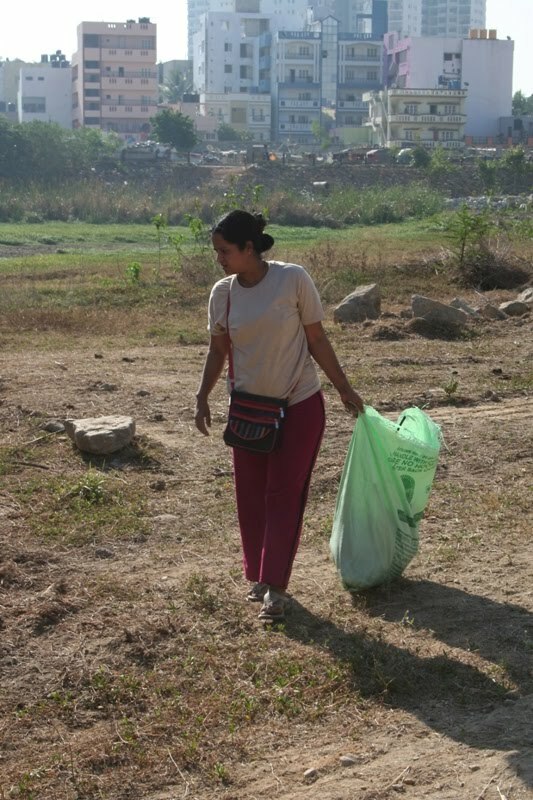 The contest was held in 45 Indian cities to commemorate the 45th anniversary of Earth Day and six winners were announced in May. The Jury found merit in our entry on the pre-monsoon cleaning of the lake bed by volunteers on 28th March 2015, most of whom live in the neighbourhood. 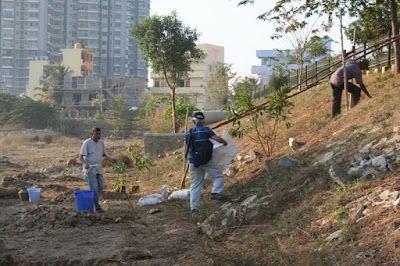 Sincere thanks to each one of them for the great vigour and enthusiasm with which they had picked trash from the lake bed. 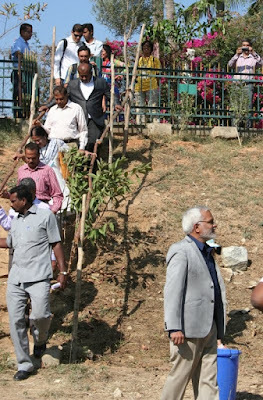 Pictures of the event are below. More than in the previous years, this cleaning drive was important because it may have been for the last time that we were able to do this. 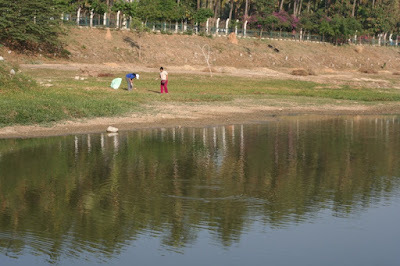 Puttenahalli Lake no longer needs to rely on the monsoon to fill up. 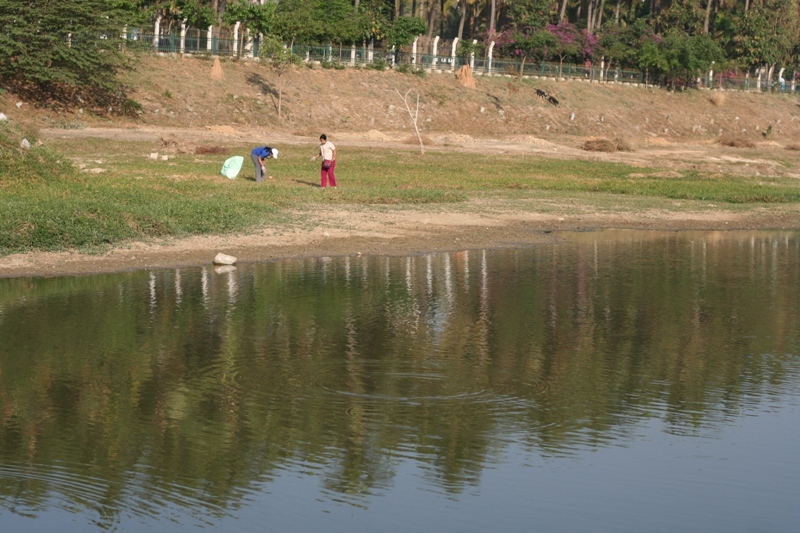 From 17th May 2015, treated waste water from the Sewage Treatment Plant at South City has been flowing into the lake. 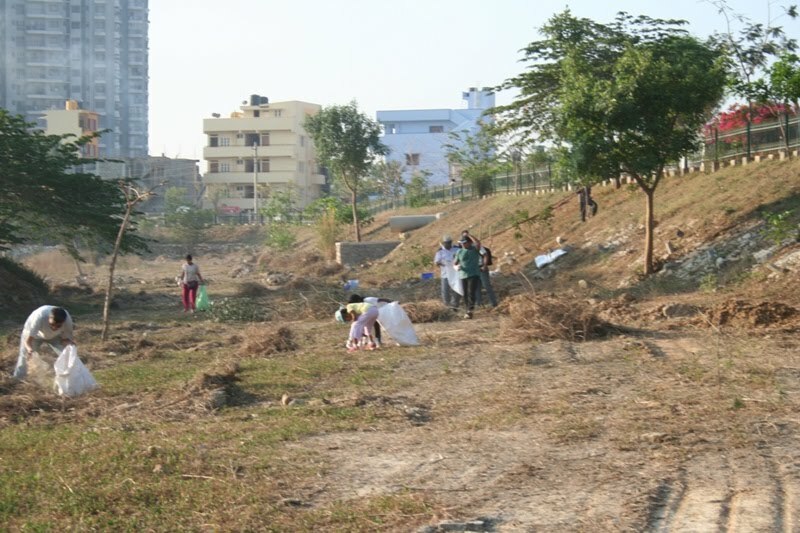 Within a year, we hope our dream of seeing it filled to the optimum will become a reality and even more birds will flock to the lake. 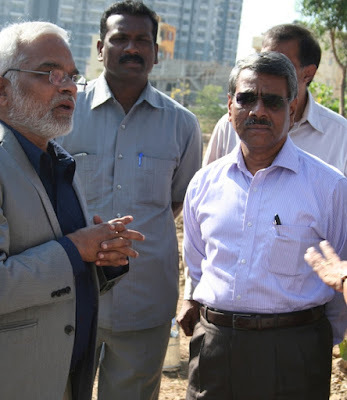 After their inspection of the STP, the Upa Lokayukta Hon'ble Justice Sri Subhash B. Adi and Dr. Vaman Acharya, Chairman, KSPCB visited the lake and met our volunteers. 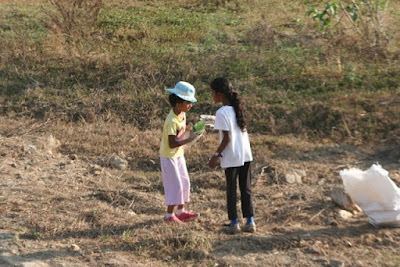 Their presence boosted our morale no end and made the day a memorable one for us. 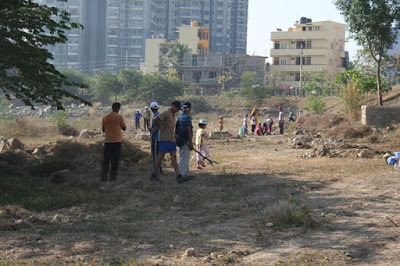 Our sincere thanks to KSPCB for giving the necessary permission and for sponsoring the lake cleaning drive. With infrastructural support from BBMP and donations from our well wishers, PNLIT has been maintaining the lake from May 2011. It is still a work in progress and we have a long way to go but awards like the one we will be proud to receive on 16th July encourage our endeavour. We look forward to sharing this moment with you. 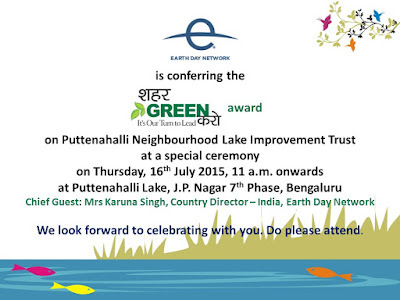 Do please attend. A line to confirm your attendance will be most welcome.